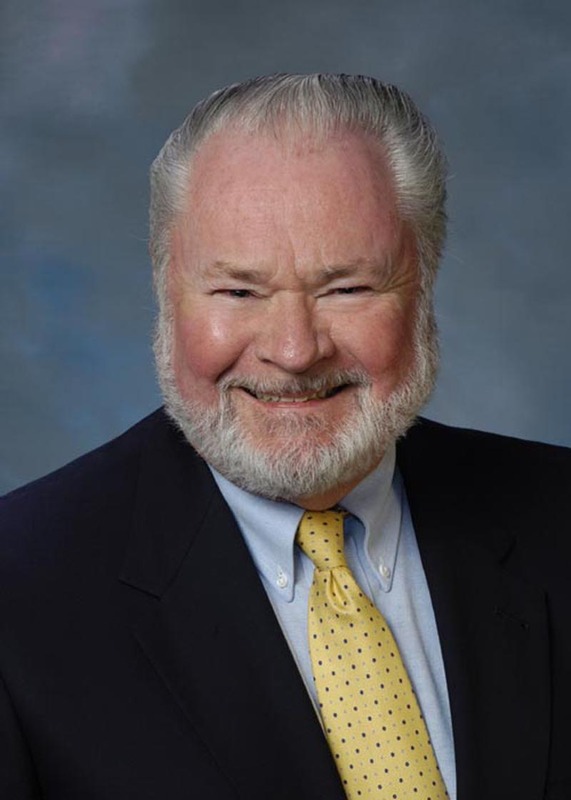 Lesneski Mortuary, San Clemente, Calif.
Former City Attorney Carl Newton passed away on July 17 in San Clemente, California, after a brief illness. Born to Kenneth Newton and Ruth Kemp in Los Angeles, Carl spent much of his early youth with his close friends, the "Gulch Gang." He graduated from UCLA with a degree in Business Administration before enrolling in the Navy where he served for two years. After his discharge, he attended Loyola Law School and while in law school he worked as an Assistant Trust Officer for the Bank of America, and as Court Statistician and Executive Assistant to the Executive Officer of the Los Angeles Superior Court. Upon earning his law degree, he became a member of the State Bar in 1963. His first job was as a Research Attorney for future California Supreme Court Justice Louis Burke before beginning a 53-year career with the Burke, Williams and Sorenson law firm where he worked until his retirement in 2014. Carl served as city attorney for the city of Manhattan Beach for over 25 years and the city of Santa Clarita, which he helped incorporate, for 23 years. He also served as the City Attorney for the cities of Downey and Azusa, was Special Counsel for a number of other cities, and was Advisor to the Planning Commissions of the Cities of Camarillo and Downey. In addition to his family and his life's work representing municipal government, Carl loved UCLA Football and all its other sports teams, fast cars, hiking and fishing in the Eastern Sierra, and an annual gathering he founded called the Boys Fishing Trip, which celebrated with him its 25th anniversary last September at Lake Mary, California. He is survived by his loving wife of 24 years, Jackie, his former wife Louise, his children Jeannie, Steve (Donna), Tom (Jan), Julie Heryet (Dave), Paul (Tonja) and Doug (Karen), and his stepchildren, Debbie Fish (Bob), Miki Thomson (Lou), Robert Hillard and Denise Torres-Cancino (Jesus). He is also survived by 14 grandchildren and 2 great-grandchildren, many beloved nieces and nephews and numerous dear friends. A memorial service will be held to celebrate Carl's life at 4:00 p.m., on August 16, 2015 at Shoreline Church, 211 Avenida Fabricante, San Clemente, CA 92673. Burke's attorneys and staff mourn the recent passing of former long-time partner, owner, of counsel, and friend, Carl K. Newton. We extend our deepest condolences to his family and loved ones. • Also served as the City Attorney for the cities of Downey, Azusa and was Special Counsel for a number of other cities, and as Advisor to the Planning Commissions of the Cities of Camarillo and Downey. He served as Chair of the Committee on Condemnation for the American Bar Association, Chair of the Condemnation Procedures Committee for the Los Angeles County Bar Association, and as a Member of the Government Liability and Condemnation Committee for the State Bar of California. Mr. Newton was a Lecturer for the City Attorney's Department of the League of California Cities on eminent domain trial procedures and tactics. He acted as Attorney-of-Record in numerous appellate decisions, including California Supreme Court cases Hill v. City of Manhattan Beach and Bagley v. City of Manhattan Beach, and as Lead Counsel in Las Tunas Beach Geologic Hazard Abatement District v. Superior Court. Carl Newton received his B.S. degree in business administration from the University of California, Los Angeles in 1955, served a tour of duty in the U.S. Navy, and then returned to obtain his J.D. degree from Loyola Law School in 1962. He served as a Research Attorney for Presiding Justice, Louis H. Burke, California Court of Appeal, 2nd District, Division 4, from 1962 to 1963. Prior to completion of Law school, Mr. Newton functioned as Assistant Trust Officer of Bank of America and as Court Statistician and Executive Assistant to the Executive Officer of The Los Angeles Superior Court. A memorial for Mr. Newton will be held at 4 p.m. Sunday, Aug. 16, at the Shoreline Church, 211 Avenida Fabricante, San Clemente, California. In lieu of flowers, please make a donation to Disabled American Veterans.